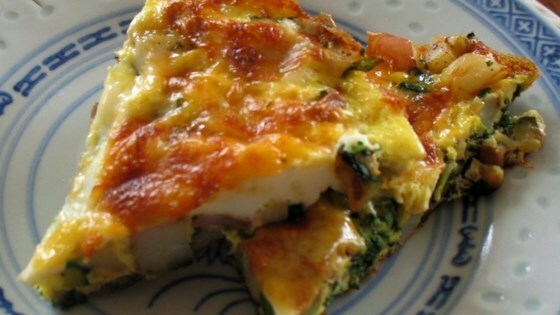 "This dish is not only delicious, but easy to make. I make this for Saturday family brunches and get togethers. It's a big hit." I made this with extra spinach and mini yukon gold potatoes. Also I used six egg whites and three whole eggs instead of six whole eggs. Light and delicious dinner!